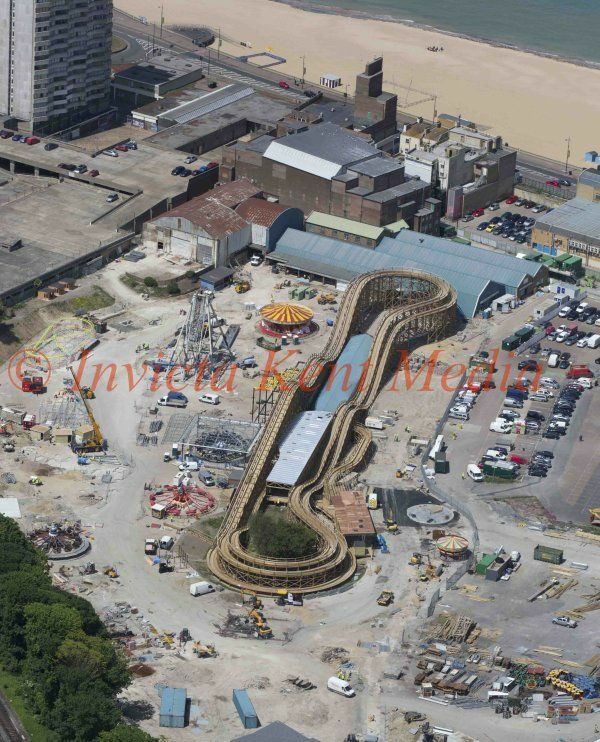 INVICTA KENT MEDIA: PICS SHOWS ; Dreamland In Margate Kent the old Theme Park Is nearly Finished in Time to Open For The Summer Tourist Season . The Scenic Railway Is built Mainly From Wood as per The old Construction. PICS SHOWS ; Dreamland In Margate Kent the old Theme Park Is nearly Finished in Time to Open For The Summer Tourist Season . The Scenic Railway Is built Mainly From Wood as per The old Construction.